There are some people who swear by sticking a Q tip or cotton swab into their ear in order to remove any debris or excess wax buildup. Anybody in the medical field can tell you that there have been many mishaps which have resulted from these cotton swabs. 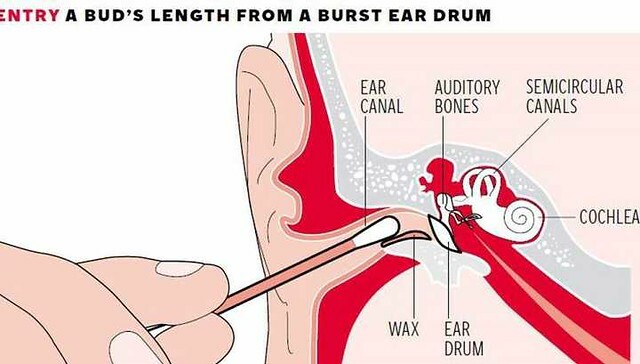 These range from punctured eardrums to extremely impacted ear wax, and there are even more negative consequences which are associated with cleaning your ears yourself. A majority of the people do not even know that we should not be cleaning the inside of our ears with the Cotton swabs. This could lead to a loss of hearing or even permanent damage to the ear. While this is only a portion of the list, it is vital to understand that no foreign object should be put in our ear in order to remove dirt or wax. This is extremely dangerous and can cause severe damage in the short run and long run. The ear canal has special cells which produce cerumen, or in common man terminology, ear wax. 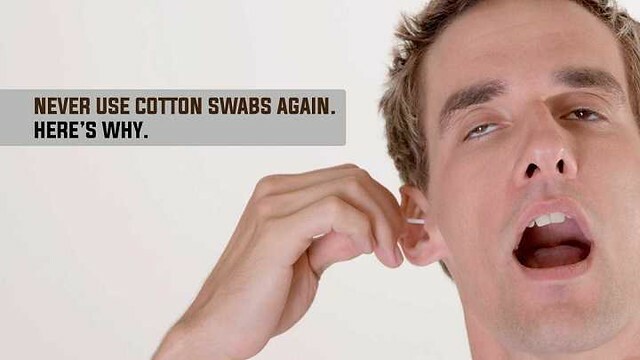 When you continuously use cotton buds to clean that ear wax, it is actually pushed towards the eardrum and keeps on accumulating there which could lead to hearing issues later on. In most of the cases, the ear canal is not in need of cleaning. During our bath, enough water enters the canal and loosens the wax. In many cases, the wax will get loose and will fall out while you sleep; hence there is no need for a cotton swab. The eardrum can be reached easily with a swab, but since it is so delicate, it can be ruptured or damaged easily by applying even a little pressure while using swabs. If the eardrum is ruptured, you will definitely know as it is accompanied with severe pain, and also leakage of clear fluid from the ear. Over time the eardrum may heal itself however it will take a long time, and the loss of hearing will not be repaired. Unlike the common belief that ear wax is dirty for your ears, it is actually very good to protect you from a foreign object. If an insect or something else tries to enter your ears, the ear wax slows it down and jams it on its place. How to eat to gain weight and muscles in a healthy way?